Hello and summertime greetings to music video programmers nationwide! It’s Andy Gesner and the staff from HIP Video Promo and we’re very stoked about this next video we present to you. When a band names itself after an album by the late, great Tim Buckley, you can expect them to reach for the stratosphere. Starsailor have been doing their namesake proud, releasing three extraordinarily dramatic and heartbreaking albums since their UK chart debut in 2001. The Lancashire quartet isn’t yet universally known stateside (although they’ve developed an intensely loyal American fanbase), but in their native England, they’ve already placed ten singles in theTop 40. To thousands upon thousands of fans all over the world, Starsailor represents the best of contemporary British music, combining the melodic inventiveness and classic sensibility of bands like Oasis and The Verve with the lovelorn emotional intensity of Coldplay and Travis. Love Is Here, the band’s shimmering debut, earned Starsailor raves and prompted the judges to award them “Brightest New Hope” at the NME Awards. The follow-up, Silence Is Easy, was a collaboration with legendary producer Phil Spector, who confessed a fascination with the Starsailor sound. Both albums were huge UK hits, and Starsailor became one of Europe’s biggest concert attractions, playing sold-out festivals and opening shows for the Rolling Stones on their A Bigger Bang tour. On The Outside captures the fury and intensity of the Starsailor live show: never before has the recorded act sounded so fierce, or so present. Moreover, the band has chosen to engage more directly with world affairs – many of the songs on On The Outside suggest deep frustration and disappointment with unending international belligerence. “Jeremiah”, for instance, addresses the mysterious death of anti-war protester Jeremiah Duggan, and takes a tone that is more sharply critical, and that courts more controversy, than anything the group has previously done. The original title of lead single “In The Crossfire” was “Ashes”, and it, too, expresses ambivalence and outright defiance. It’s a meditation on fame and a critique of patriotism, and it’s delivered with consummate passion by singer and guitar player James Walsh. 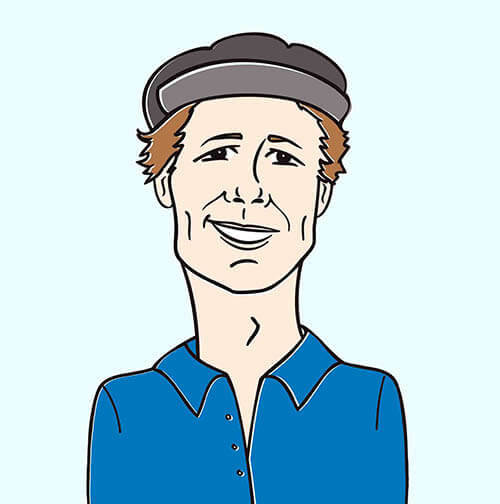 His story is punctuated by fierce blasts of guitar, and gorgeous Hammond organ and electric piano from multi-instrumentalists Barry Westhead. “In The Crossfire” reached the UK top 20 last year, and its dynamic arrangement – and its timely message – suits it particularly well for American ears. 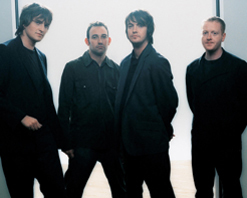 The clip for “In The Crossfire” finds Starsailor performing in peril. They play behind frosted café windows, and their faces are partially occluded by the fog. Periodically, a bandmember will wipe streaks in the panels, and the mist will clear for a second – and we’ll be able to catch a facial expression or a dramatic movement. But it isn’t until the bridge of the song that we’re taken behind the panels and shown the group without mediation or occlusion. From the other side of the glass, the performance space is periodically flooded with light – like a curtain going up, or perhaps a bomb blast. And as the song reaches its climax, the windows begin to shatter into shards of glass. The members of Starsailor play on through it all, aware of the storm their music is generating, struggling to break through barriers no matter how dangerous the enterprise might be. It is our utmost pleasure for us at HIP to work with Fred Croshal and Michael Pontecorvo to help Starsailor secure the attention here in America that they rightfully deserve, and big thanks to Artists’ Addiction Records for bringing us on board to spearhead this video campaign. Be sure to catch Starsailor on the road as they will be touring the US throughout September, but in the meantime, we will have plenty of copies of On The Outside available for all of your on-air giveaway needs. If you need more info call Andy Gesner at 732-613-1779, or email HIPVideo@aol.com. You can also visit www.ArtistsAddiction.com or www.Starsailor.net to find out more about Starsailor.